Over the last year or so I have done several Wardrobes that are not run of the mill jobs. 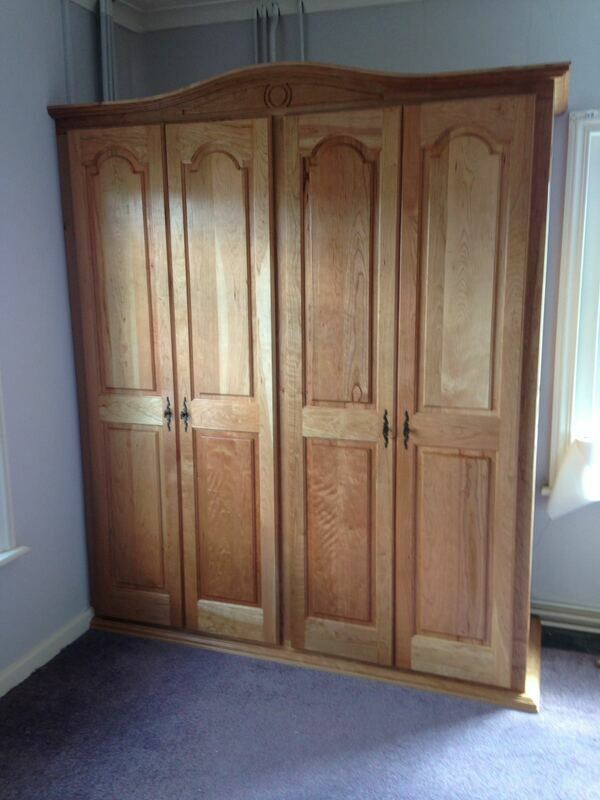 On the left is a French style wardrobe, in Cherry, that was to match an existing free standing unit. This one is built-in and , in addition to providing storage, covers up a very unsightly hot water cylinder and associated pipework. ​This unit is made from solid Cherry, apart from some ply internal pieces. ​I can make items that the "Big Boys" are not interested in doing, or don't have the adaptability to produce. There are many smaller items that I have made, sometimes the request is a bit different, for example, I recently converted an Elm TV cabinet (housed an old CRT TV so was very deep !) into two bedside tables.The unit was otherwise going to be dumped so it saved wasting good timber. 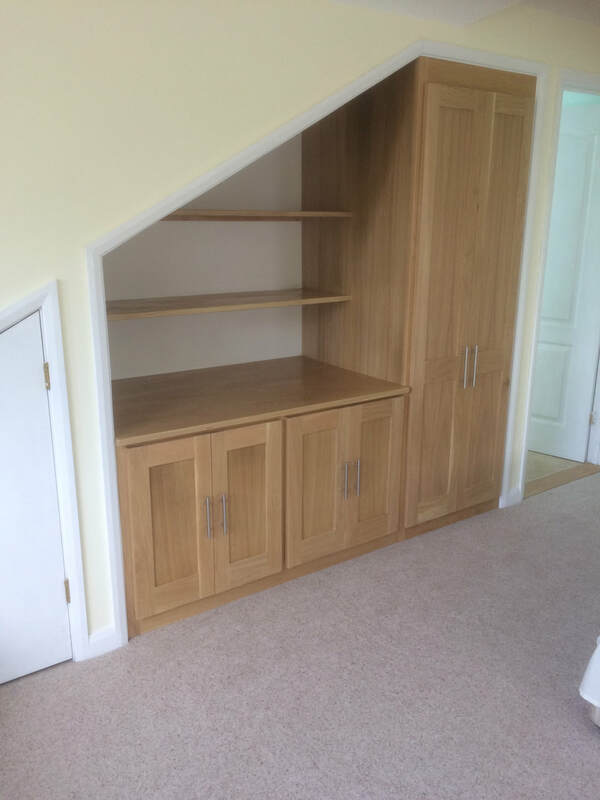 An Oak Wardrobe and cupboard unit making use of an otherwise wasted space. A cabinet to house TV and all associated equipment as well as CD/DVD storage.